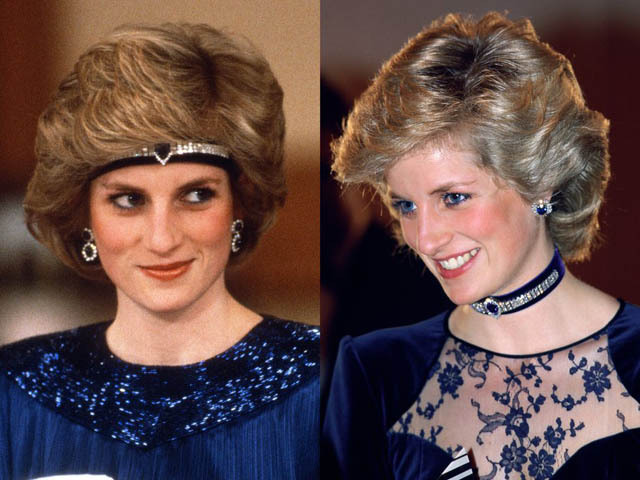 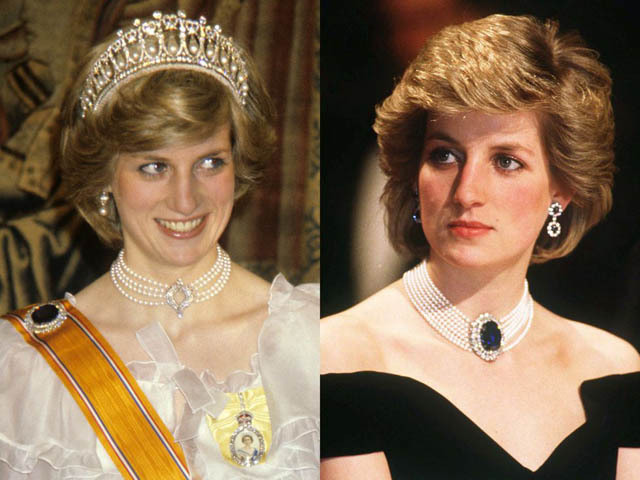 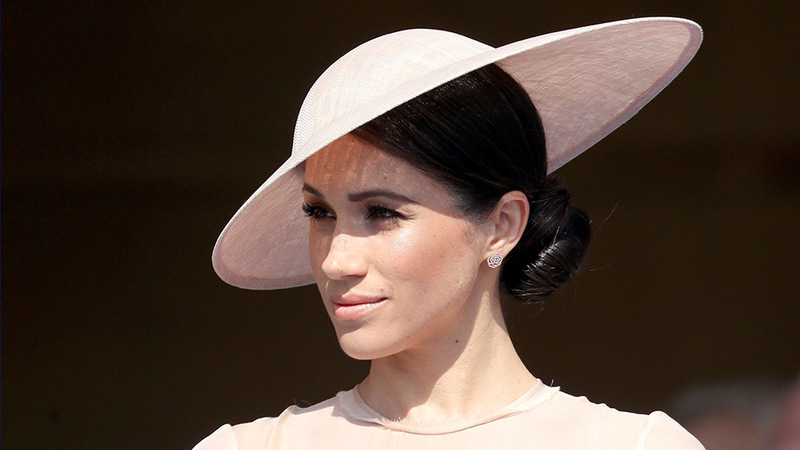 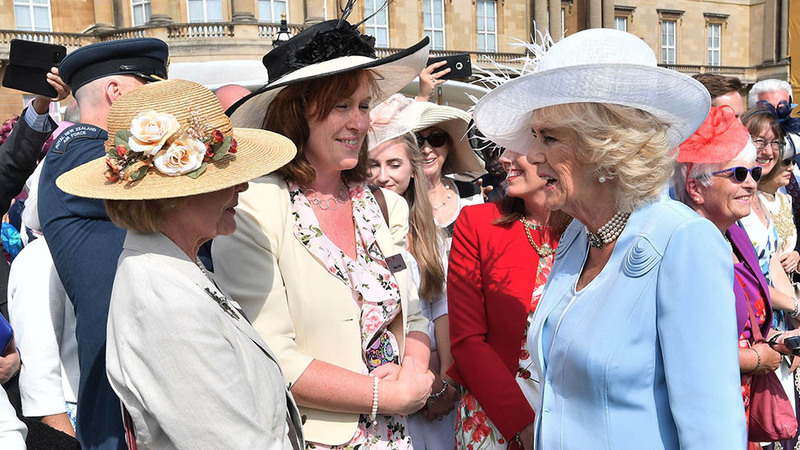 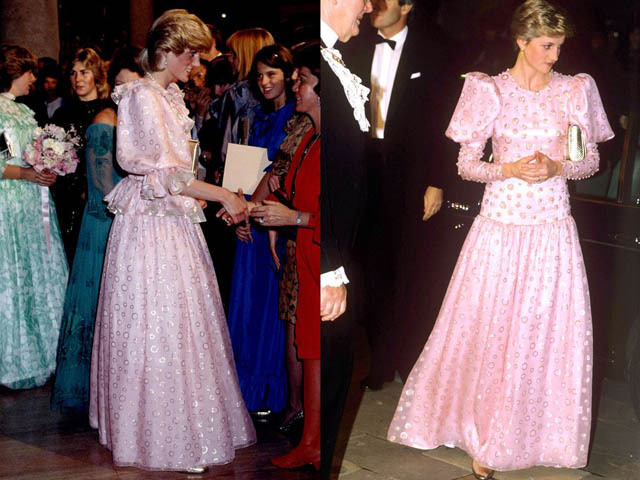 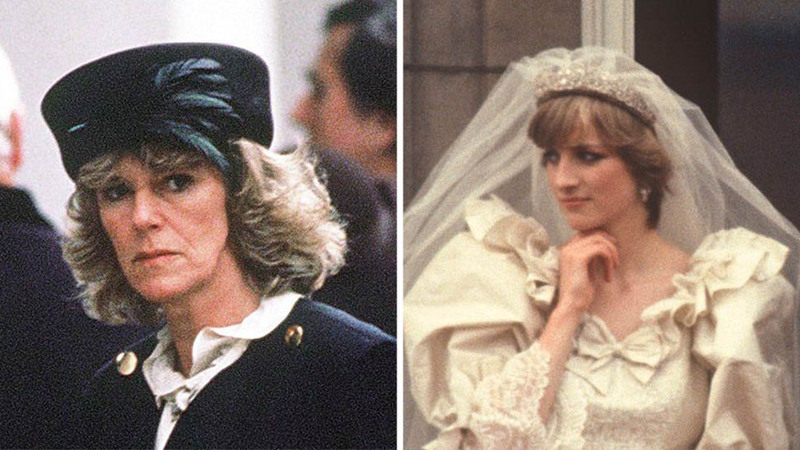 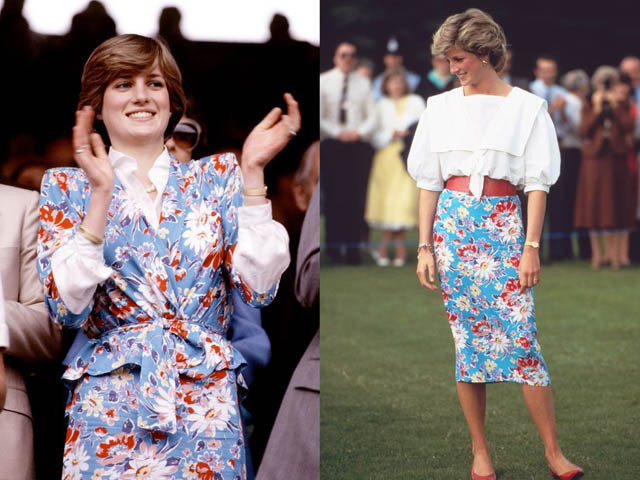 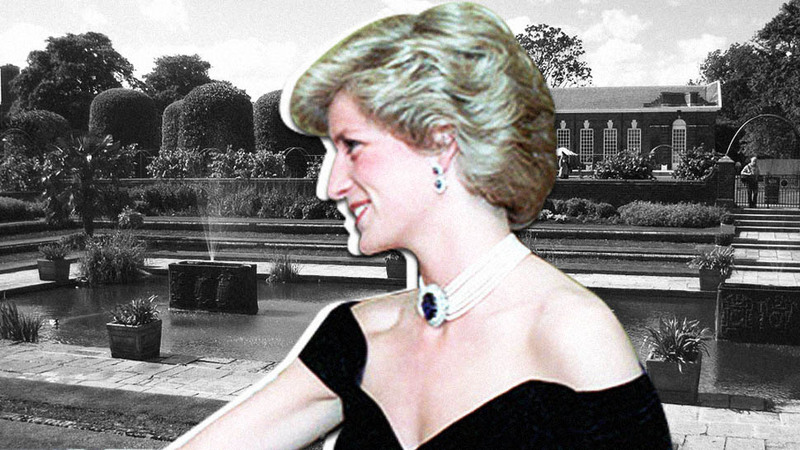 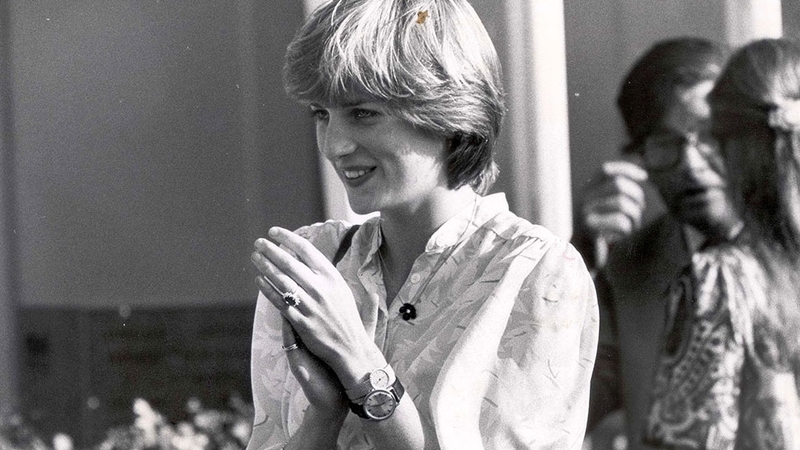 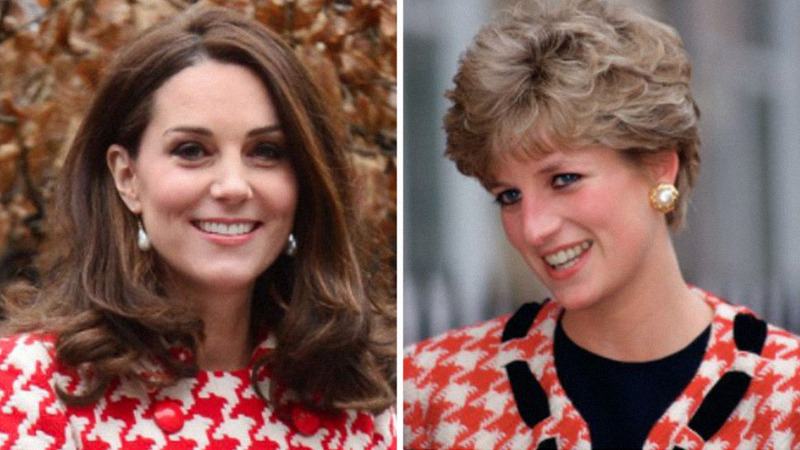 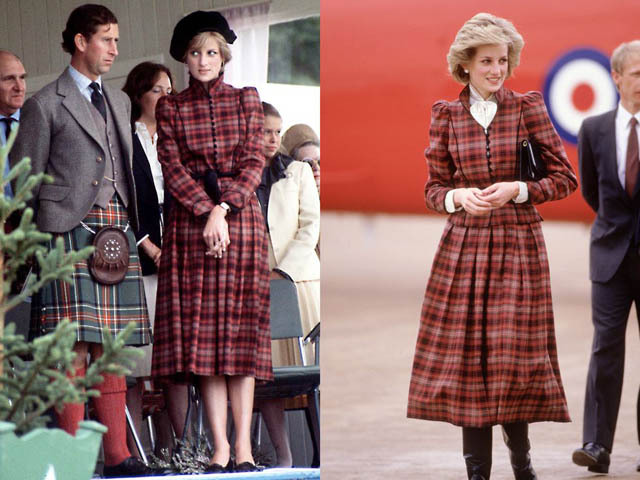 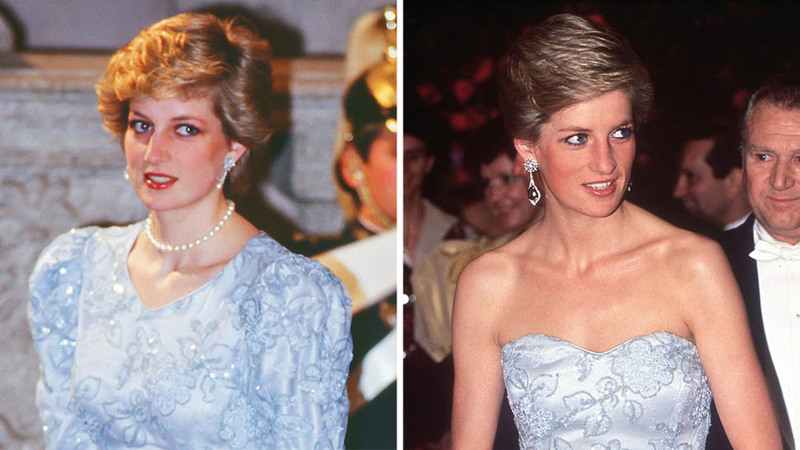 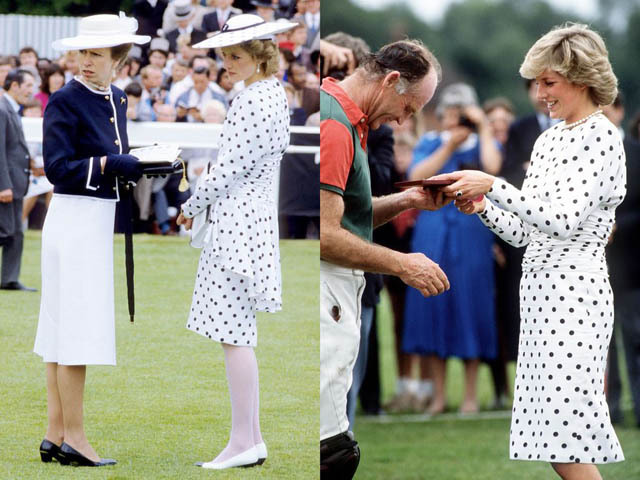 The Princess of Wales didn't just repeat outfits-she remade them completely. 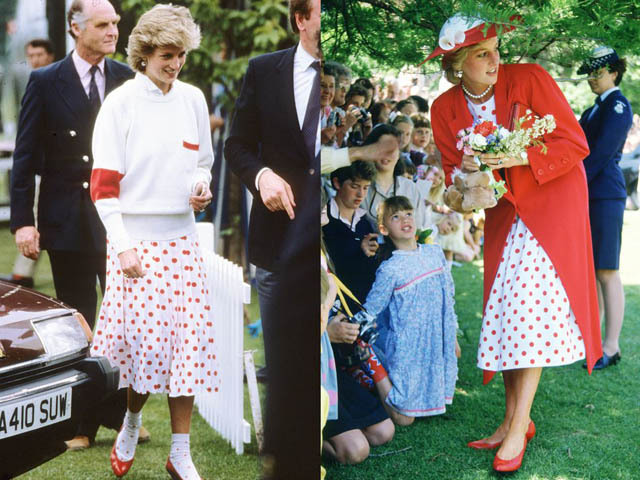 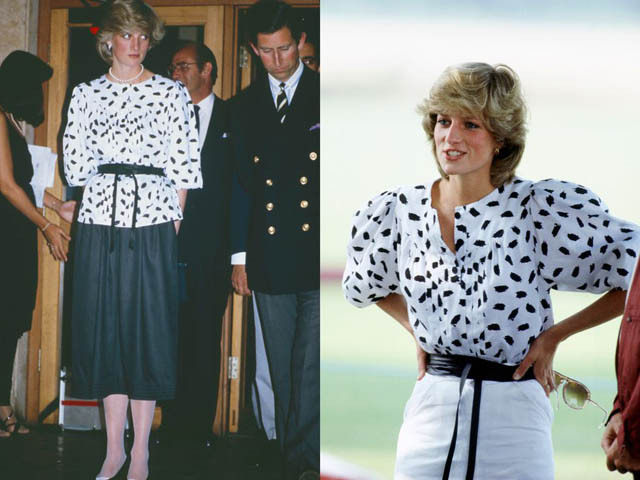 On the left, Diana wears a Mondi white skirt with red polka dots with matching ankle socks at a polo match in Windsor in June 1986. 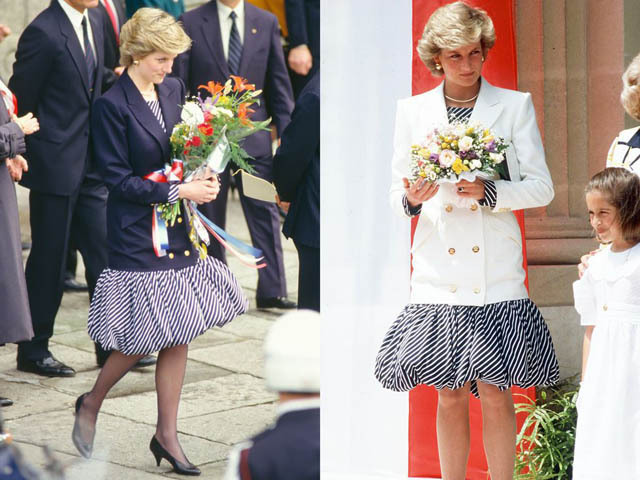 And on the right, she receives flowers from well-wishers during a visit in Melbourne, Australia in the same skirt!